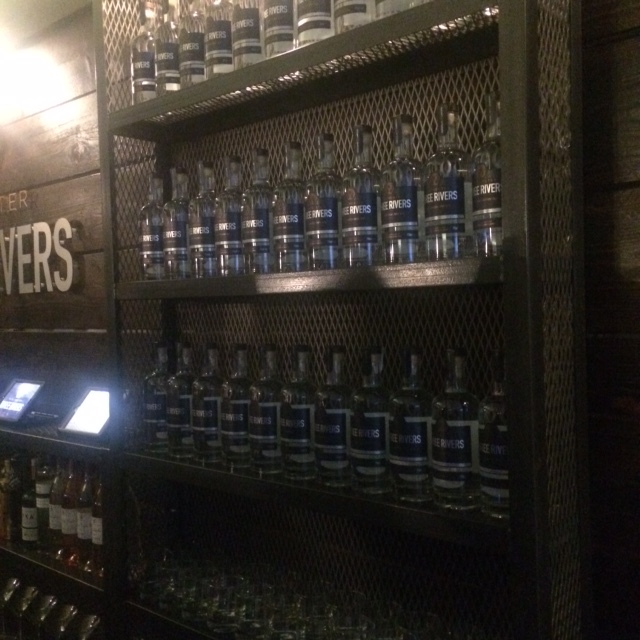 On Wednesday evening I had the pleasure of being invited to see the new City of Manchester Distillery, home to the brand new super Premium Manchester Three Rivers Gin, the first of its kind in Manchester and a new cultural visitor attraction for Manchester city centre. Located in a railway arch in the Green Quarter, when you walk through the door you are hit with the feeling of industry, innovation and creativity. The Manchester Gin Experience is an immersive and Interactive celebration of both Manchester and the history of Gin. Not only is the Manchester Three Rivers a place to taste and savour the delicious gin recipe, but be a part of the change in the city and experience creating and developing your own gin experience and creating your own bespoke gin recipe. Dave Rigby one of the co-founders of the distillery came from a back group you perhaps wouldn’t have expected from a distillery and started life as a university lecturer at the University of Salford, teaching Film. He followed his food and drink passions to build his own café bar and then went on to start his next passion-filled adventure Manchester Three Rivers Gin. Dave had a strong vision for what kind of unique gin he wanted to make. He didn’t want to create a citric gin and wanted to focus instead on the mid palette and flavours he particularly enjoys such as vanilla, cardamom, cinnamon, and almond. Whilst visiting craft distilleries in the mid-west of America he identified a trend for distillers to use botanicals sourced locally, specific to location and region which gave the gin real local character. Oats were picked as a typical food of the workers in the Manchester industrial revolution, full of oil and sweetness they would help contribute to the rounded-smooth mouthfeel all finely balanced by a spicy finish from black pepper. 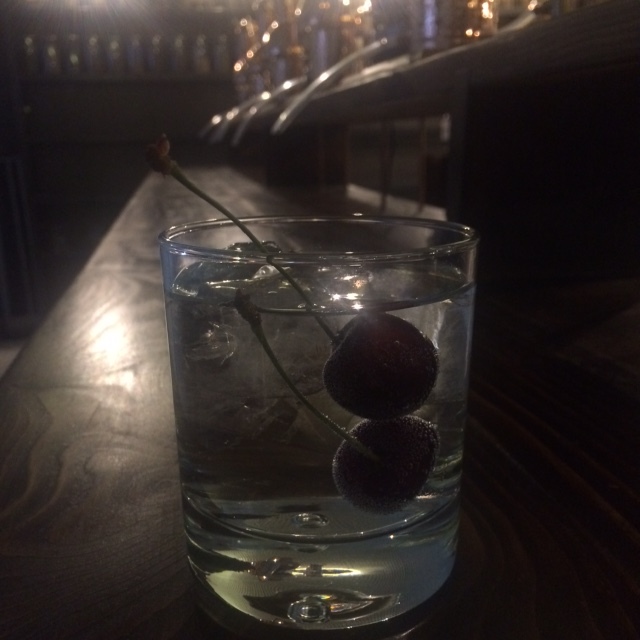 Suggestions for the perfect serve for Manchester Three Rivers would be cherries and ice and double dutch tonic. Not overpowering as a flavour however just enough to enhance the Bakewell botanicals used within the gin. The bottle and brand itself has been inspired by ‘Industrial Elegance’. The logo manifests itself from the hexagon of the worker bee, the cotton strands of the industrial revolution and three of them to represent the Three Rivers. 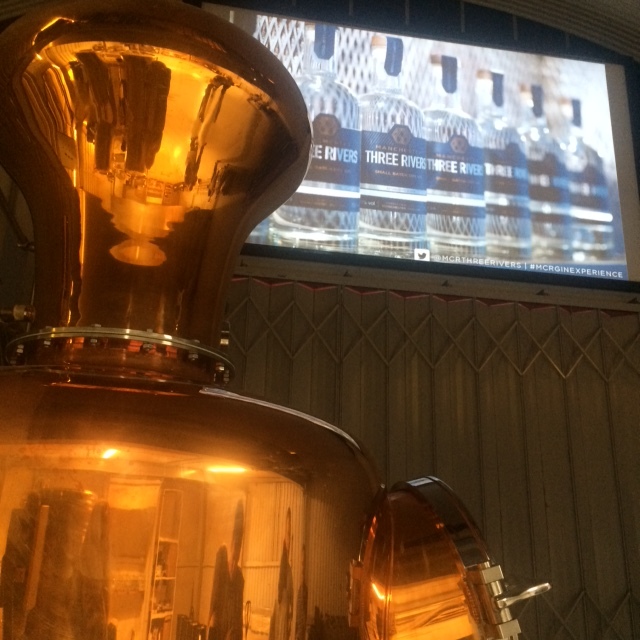 The City of Manchester Distillery Gin Experience is the first of its kind in the city of Manchester. With and aim of wanting to build and develop a new visitor attraction in the city, the new experiential event space takes gin education to another level. The gin experience allows users the take part in the gin renaissance, ticket holders will learn about the often illustrious, sometimes dark and unquestionably intriguing history of gin, take a guided tour of our distillery and production facilities, enjoy four complimentary drinks throughout the tour – from our perfect serve. 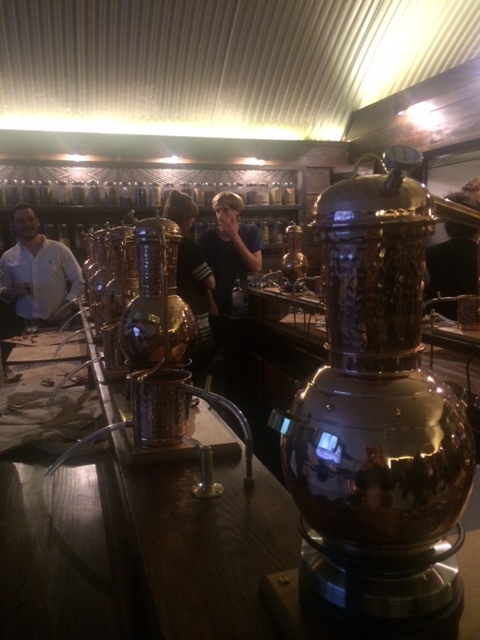 Then finally ticket holders will create their very own bottle of gin, using the mini Alembic copper pot stills. With over 50 botanicals to choose from the gin experience host will help to guide you to your own personalised gin combination. The Three Rivers Gin team have created a beautiful space and story to celebrate their product and the history of the city. The gin experience is a wonderful opportunity for any Gin enthusiast and would make a really enjoyable special treat. In fact, I have already added the experience as one of the things I would like to do for my upcoming 30th birthday. The evening demonstrated The Three Rivers Gin team’s passion, and the drink is certainly one to try. This entry was posted in All Posts, Doing, Drinking and tagged cocktails, drink, Gin, Manchester. Bookmark the permalink.